Raise money when you shop online – GoRaise is a website which allows you to raise money for free, every time you shop online. All you have to do is register your details and create a GoRaise fundraising page. 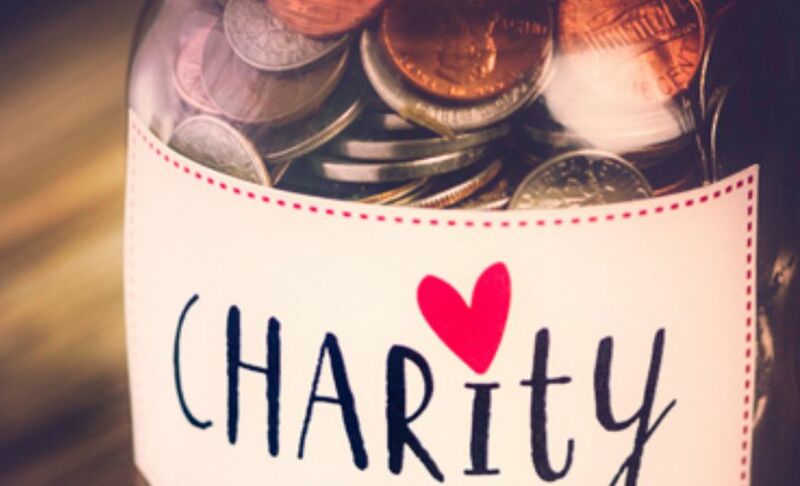 After that, you can invite your colleague’s, teammates and whoever else and every time anybody makes a purchase online at one of over 80,000 charities, a donation will be made by that company to your cause. There are lots of retailers on-board too, such as eBay, Argos and M&S, so check them out and start raising money on the things you were going to buy anyway. Have a Sweepstake – Why not host an office sweepstake for the major sports tournaments of the year like the Grand National. Write down a list of all the runners for this year and sell them to colleagues for anywhere between £1 and £5 each – whoever wins gets half of the prize money and the rest goes to charity. If there are any horses leftover, you can either donate all of the money to charity or pick the runner who came closest. If racing’s not your thing, then you could do the same with Eurovision, where people pick countries out of a hat instead. Company car wash – This is perfect if you work in a large business park or industrial estate. Offer to wash you’re your fellow workers cars, with all the proceeds going to charity. Office workers will tell you they’re way too busy to wash their own cars so will be happy for the offer. Send an internal email to everyone and let people reply with their car make, colour or number plate, along with a donation amount. You can setup a special wash station or simply wash cars in the car park. Dress down Friday Can you remember the excitement that non-uniform days brought in school? Do the same at work by letting people turn up in casual clothes for a small donation (trust us, we know many people that would pay to not to have a wear a tie!). To further incentivise your co-workers, get the company to contribute a donation for every person that turns up in casual clothes. Fancy dress day – If you think your office would be up for it, go one step further and host a fancy dress day. The same rules apply as above but you’ll have a lot more fun. You could theme your fancy dress day: princesses and pirates, Action Men and Barbie’s or superheroes! This is a great way to show off your companies personality and gives you something fun to share on your social media. Swear jar – Everyone gets stressed at work at some point and some of us choose to vent that frustration through, shall we say, creative use of the English Language. Turn that frustration into a force for good with an office swear jar. You could even put a price on each naughty word – 20p for mild language… £2 for $@*#! A movie under the stars – This is something we’re seeing more and more of across the country and something that the whole family can enjoy. Using a projector and an inflatable or makeshift screen, you can create a truly memorable movie night. People can bring along their own snacks, flasks and picnic blankets, or you could setup stalls to sell goodies and raise money. Of course, it doesn’t have to be outdoors, we know of plenty of places that are more than happy to lend their venue to a good cause. Bake sale – Host your own Great British Bake Off and sell sweet goodies for charity. Get your friends or colleagues involved too and spark a little friendly competition for whoever makes the best cupcake. You could go one step further and turn it into a market day – inviting other local businesses to sell their goods too. They’ll be raising awareness for their brand while helping you raise money for a good cause. You could also host cooking masterclasses or sell your recipes to anyone interested in trying what they tasted at home. Sponsored indoor cycling – Now for health and safety reasons, we don’t suggest doing this on a real bike, but rather an exercise bike. Set up a distance or timed cycling challenge where people can sponsor you for every mile or minute you cycle. For maximum exposure, place the bike where it can be seen to encourage people to donate as they pass. This is a great one to get your colleagues involved in as it helps to promote a healthy and active lifestyle at work. You don’t have to organise your own event to contribute, you can simply join an existing event in our name – whether that’s running, swimming, climbing or cycling. We work with many charitable events around the UK; from the Leicester Marathon to Tough Mudder. We’re always looking for volunteers to help us raise money and can contribute towards your costs in exchange for picking us as your charity. Learn more about what we do or get in touch with us today regarding your next event.